World War II era poster showing a drawing of hands holding a camera with a black X across it. 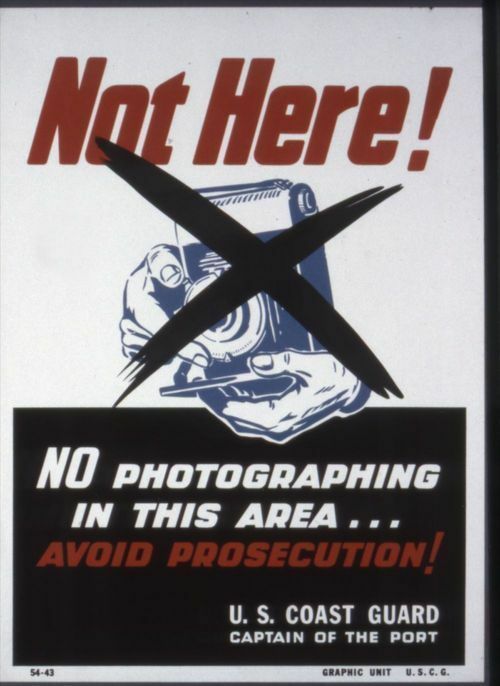 The United States Coast Guard apparently produced the poster to designate areas in which photography is restricted. Not here! No photographing in this area!